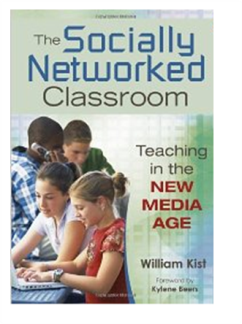 I am currently reading Bill Kist’s new book, The Socially Networked Classroom. While written for all levels of education from elementary through postsecondary, he focuses on the use of social media in classes from middle school and above. As I continue to work with K-12 teachers in my graduate course, this book addresses many of the concerns that my target audience has regarding the use of social media in schools. This use of social media is equally relevant in higher education, and ties in nicely with the work we are doing here in the Center for Teaching Excellence. There are several things I like about this book. The chapter organization grabbed me right off the bat. Anyone who knows me knows that I am a huge fanboy of coffee in general and Starbucks in particular. 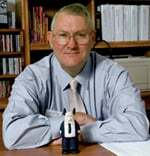 I have been “wired” long before I learned about computers and the internet! So when I noticed that Bill had organized his chapters into Short, Tall, Grande, and Venti, I was hooked! Interestingly, Bill notes that the coffee you get from Starbucks is the same whether you order a short or a venti – the only difference is the amount of coffee you receive. He suggests that teaching with social media is similar – you can use a little or a lot, but the use of social media makes sense in today’s new media age. That leads to the second thing I like about this book – he gives real examples of teachers and faculty who are walking the walk – using social media in practical ways to enhance learning in their classes. I would suspect that this is far from the typical 7th grader out there…but would you not love to have this student in your college class in five years? She not only seamlessly uses various social media to research and learn, but she works in a meta way to display how she is learning. I love that she sought out different scientists to validate her research on her blog and when one did not answer right away, she found another. Are you ready for this student now? Will you be ready in five years? She and her peers are coming. Of course, who knows what a socially networked classroom will look like in five years. Some of the processes our young student is using above did not exist five years ago. It is a rapidly evolving environment. I liked what Derek Wenmoth suggested in a recent post, “Toward the Networked School…“. As the use of social media becomes more integrated in daily life, the distinction between what is done face-to-face and what is done online blurs and merges. Faculty worldwide are exploring the use of a networked class, as this example using wikis, blogs and social networks from Helsinki illustrates. Howard Rheingold‘s Social Media Classroom as well as George Siemens‘ and Stephen Downes‘ Massively Open Online Course on Connectivism are other relevant examples. No one model will necessarily emerge, but like Bill’s Starbuck’s analogy, there will be varying amounts of social media in most courses in the future. Having taught online for over a dozen years, I am used to connecting with my students outside “class” time, as the concept of class time is rather meaningless in an asynchronous environment. Our higher education students are increasingly arriving in our classes equipped with skills they have developed through high school that involve socially mediated communication 24/7 (albeit for entertainment and socialization, not learning per se). As faculty, we are increasingly looking to social media to connect with colleagues down the hall and worldwide for our own development. The concept of a personal learning environment in which we are aware of and transparent in the metacognition of our own learning is as relevant for faculty as it is for the young lady above. Bill asks towards the end of his book whether social networking will be used to free students or more tightly limit their freedoms. I would suggest that these skills at connecting enhance rather than diminish the role of teachers and faculty. The socially networked student above has taken control of her own learning, but it does not appear that this has pushed her away from her teacher. In many ways, it appears that they have formed a closer bond. It validates my own view of social media. I look forward to having more and more of these socially networked students in my classes…and working with teachers and faculty to help them make those same connections. Wonder-FULL post! This young student serves as great model for all of us. I agree with “As the use of social media becomes more integrated in daily life, the distinction between what is done face-to-face and what is done online blurs and merges.” This is consistent with my experience in online learning. This in indeed a thought provoking post. After watching the video I sat for a full minute analyzing myself as a teacher. Was I ready for a kid like this? My final thoughts was yes I was but there are many who are not. This is certainly not a typical 7th grader but one all educators would love to have. My final thoughts are as technology evolves, educators had best move with the times or we will be faced with students who will be teaching us ant not the other way around. Well researched and well thought out. Thanks for sharing.